The T90 is as much a tradition as it is a transmission for classic Jeep people. It is a legendary gearbox and surprisingly tough. However, a couple of the T90's kinks are a bit legendary themselves. We carry what it takes to iron them out and make lasting improvements. 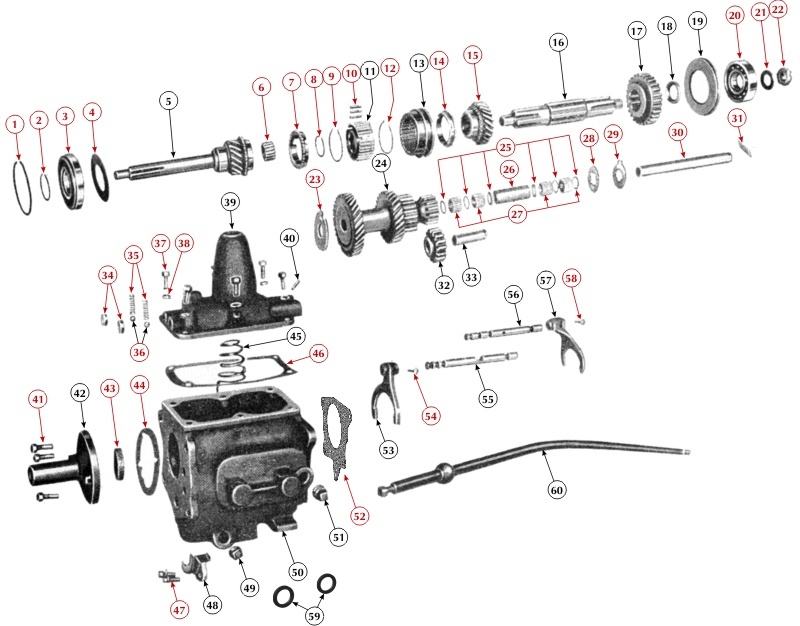 After 40 years of rebuilding these transmissions, we've assembled the most complete master rebuild kits available anywhere. 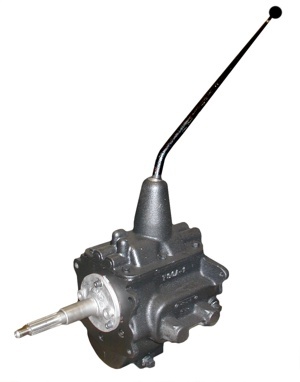 A T90 that pops out of second gear, has excessive noise, leakage and looseness in operation can be repaired and solved. We excel in providing these kits in our selection of parts, and by also supplying a specially hardened cluster idler shaft, which will provide far longer service and quieter operation. Novak also provides a sealed input bearing and plug method, which can eliminate leaks when used in conjunction with the factory felt seal, which is far superior to the conventional method of using the felt seal alone. It is very common for our customers to do top-level rebuild work, using good methods and by following our instruction guide. We suggest the rebuilder have access to a set of snap ring pliers and pullers in addition to a standard tool set. Use our parts selector below to purchase hard parts or rebuild parts a la carte. Sealed front bearing is provided but not pictured. 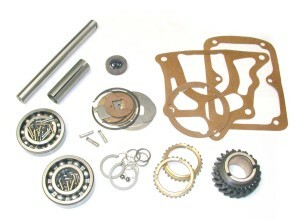 For IH Scout T90 parts, contact us and we'll help you determine which rebuild kit or parts will be appropriate. Click on any item description in blue below to expand its details for purchase. You can use your browser's Back button to return to this page and your cart items will remain. For your reference, all asterixed * items below are included in our master rebuild kit, above. Items indicated with a "‡" are not available singly, but are available in the Small Parts Kit, #A below. A. Kit, small parts *. Includes all items listed below with a "‡"